The office for low emission vehicles (OLEV) has funding for the domestic charge points where you can charge your vehicle from home. There is also funding from residential on street charging, residential on street rapid charge points, grant funding for plant in electric vehicle charging at railway stations and funding for vehicle charge points on government and public sector property. From 1st September 2014 a new government backed scheme called the electric vehicle home charge scheme was launched in the UK. 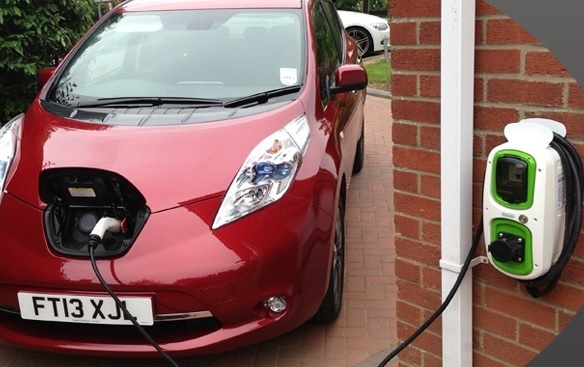 Householders who own lease or have primarily use other eligible electric vehicle may receive up to 75% (capped at £900 Inc. VAT) off the total capital cost of the charge point and associated installation costs. Residents must provide evidence of ownership or been named as the primary driver of the plug-in electric or plug-in hybrid vehicle in order to qualify for the grants. The application may be made on your behalf by suppliers which have previously been authorised by the office for low emission vehicles, follow this link for a full list of authorised suppliers. The current scheme runs until 8th May 2015 claims must be submitted prior to this date. Evidence of ownership will be required, or evidence that you are the primary driver of the car. The application form must be completed and you must ensure that all the information is correct before you sign it. The approved installer must also sign the registration form. Someone who becomes an owner of a new or second-hand electric vehicle, from the 1st July 2014 onwards. Individuals who are assigned a company electric vehicle which is eligible from the 1st July 2014 onwards. A person who uses a commercial fleet vehicle and are named as the primary user for at least six months from the 1st July 2014 onwards. A person who orders an electric vehicle which will be received after 1st July 2014 onwards. Eligible vehicles are those that defined as part of the plug-in car and van grant. Individuals who have claimed against any previous charge points schemes will not be eligible for the current scheme. The current scheme is only available for private individuals and cannot be put through a company. If you purchase an electric vehicle prior to the 1st July 2014 and never took advantage of the previous scheme you may still be eligible for the new scheme, however you will need to contact the OLEV to discuss your specific circumstances..
For more details on other charging options follow the link. For options from our recommended supplier Charged EV follow this link.